One eye-opening seminar at Tales of the Cocktail this summer looked at potentially harmful ingredients behind the bar. Avery Glasser, co-founder of Bittermens, a New Orleans-based company that produces bitters, syrups and other cocktail ingredients, recalls the time he drank a Gin & Tonic made with homemade tonic syrup. There turned out to be too much quinine in the tonic, and as a result he contracted cinchonism. The symptoms for this condition can include flushed and sweaty skin, tinnitus, blurred vision, confusion, headache and abdominal pain; with larger doses of quinine, reversible deafness, irregular heartbeat, and anaphylactic shock can occur. The experience got Glasser to thinking about the bar industry's propensity for creating tinctures, syrups, infusions, and other ingredients whose production has little regulation (yet big potential for dire consequences). This past July at Tales of the Cocktail, Glasser co-presented a seminar with writer Camper English of Alcademics they deemed "The Roof is on Fire: Dangerous Drinks." Sponsored by Disaronno Amaretto (itself produced with bitter almonds, or apricots pits, which if not used in safe amounts can make a drinker very sick), the seminar examined common (and not so common) ingredients used in the shaker, as well as those that have no place behind the bar. The duo's slideshow presentation began with a logo super familiar to any Generation Xer. 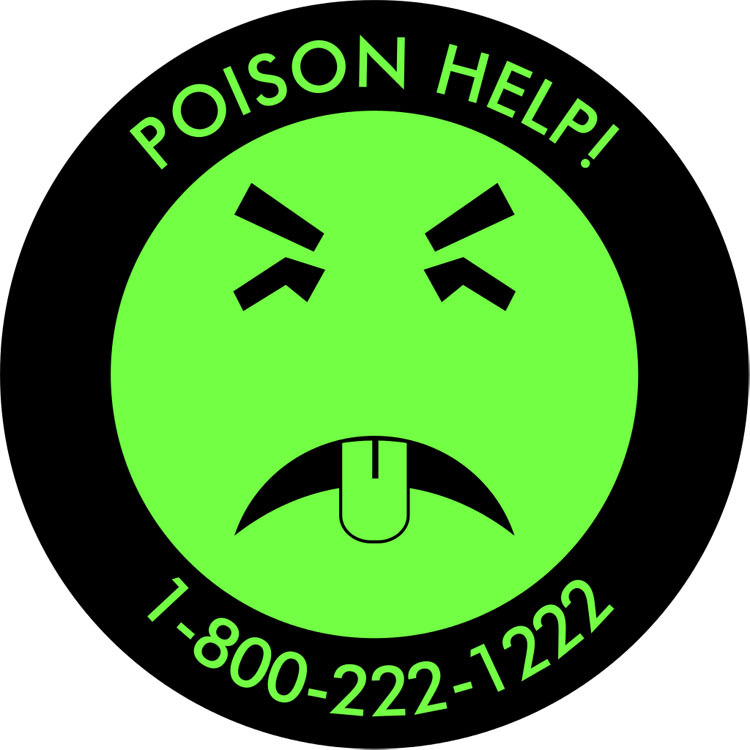 Mr. Yuk was created in 1971 at Children's Hospital of Pittsburgh, and stickers with the bright green face, squinty eyes, and tongue sticking out were slapped on many a bottle of cleaner and toxic substance. Used a bit for comic effect during this seminar, it drive home the point that bar ingredients – which are often viewed as crafty, artisanal and unique – can also be dangerous to guests and bartenders. A closed Facebook group, First Do No Harm, educates on that very topic. Take tobacco bitters. The Violet Hour in Chicago have them in a drink on the menu, but their version contains no actual tobacco. However, Glasser and English pointed out that the bar’s forward-thinking beverage program inspired others to add similar drinks to their lists. It's quite a staggering statistic, but the nicotine in just three cigarettes can kill you; in smaller amounts, it causes nausea, vomiting, and respiratory failure. Using tobacco behind the bar is illegal; two workarounds are to make infusions with smoky lapsang souchong tea, or use commercially made products like Marie Laveau Tobacco Bitters, which have the flavor but not the nicotine. In general, bitters have migrated from cocktail accent to cocktail ingredient, with some drinks having in excess of an ounce-and-a-half of bitters. Bartenders need to check the labels to see if brands are potable or nonpotable. A safer alternative to that quantity of herbs, roots, bark and alcohol, though, are spirits like Amaro di Angostura. And what about that aforementioned amaretto? Its base ingredient, "bitter almond," is somewhat confusing. It can refer both to actual almonds (not allowed in the US as a food additive) and the kernels of stone fruits like peaches, cherries and apricots, which can be used as flavoring in liqueurs like amaretto, as long as the dose is small enough that a negligible amount of cyanide – contained in the kernel – is distilled out. English noted that Pinterest and other online sites abound with recipes for homemade amaretto, but since even 30 apricot kernels in a bottle could make you very sick (statistic cited from ArtofDrink.com), it's best to avoid making it yourself. A few years ago, the production of bison grass vodka made the news in craft cocktail circles. The Polish spirit is traditionally flavored with coumarin, an extract found in bison grass (as well as in tonka beans, sweet woodruff, cassia cinnamon, and cherry blossom tree leaves) that lends a distinctive sweet and slightly vanilla note. It also happens to be an ingredient used to make coumadin, a blood-thinning agent. Though coumarin itself does not have anti-coagulation effects, it is moderately toxic to the kidney and liver, so it was replaced with another flavoring for vodka sold in the US. Fatwashing is often used behind the bar to add flavor and texture to a spirit. Borrowed from the perfume industry, the technique involves infusing something oily (like bacon grease) into alcohol, freezing it so it separates and then scraping off the fat. It can be an interesting way to add savory flavors to Bourbon, vodka or other spirits (as anyone who has had PDT's Benton Old Fashioned will attest) but it does bring with it a slight chance of botulism and bacteria poisoning. English suggested using just the smallest amount needed, keeping the meat submerged in the liquid, always fatwashing in the refrigerator during and after the time a spirit is infused, and keeping in mind that the higher the ABV, the safer the finished product will be. None of the information provided at the seminar (or in the handy spiral-bound takeaway booklet) was meant to overly alarm, but it should make bar professionals stop and think. Even something as seemingly innocuous as citrus needs to give bartenders pause. Grapefruit, for example, can affect the effectiveness of certain medications (including those for cholesterol and heart), so the type of citrus used in a cocktail should always be stated on a menu. As Camper and Glasser noted, the bottom line is consideration for your guest. After all, a drink may blow your mind, but it shouldn't stop your heart.